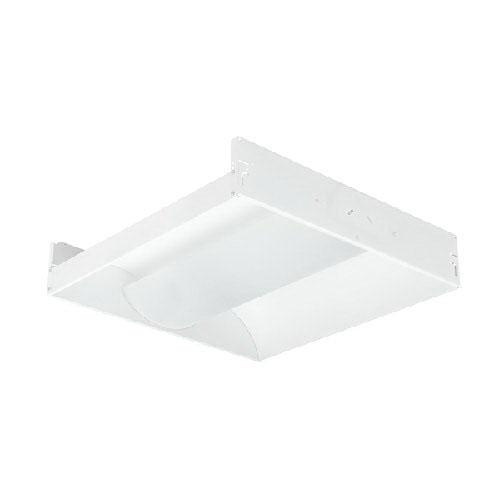 Columbia Lighting Stratus® Collection E-Series Fluorescent architectural recessed indirect luminaire employs three 32-/30-/28-/25-Watt electronic T5HO, instant or T8 programmed start lamps. It has voltage rating of 120 - 277-Volts. Luminaire features die-formed cold-rolled steel construction for longer endurance. It measures 4-ft x 2-ft x 4-3/4-Inch. Luminaire supports recessed/surface/cable mounting for making installation easy. Luminaire is UL/cUL listed and CSA certified.